As on date we all are aware with what is SEO i.e. search engine optimization. It includes all those actions that are taken to ensure a better visibility of your website in search engine result pages, when users put in the words rather keywords in the search bars of the search engines. Now what is Social SEO? As we all know that now when we search in the search engine using a keyword we also get social media activities and content as the result. Here comes the idea of social SEO in to play. 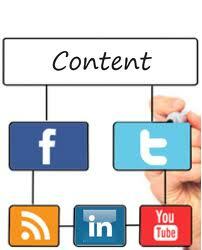 Social SEO is all about optimizing your social media content in order to appear in higher search ranking. Let me go ahead and share with you a list of tips that you must follow while going ahead with social SEO. Ideally a social media profile optimized for SEO happens to be as descriptive as possible. Make sure you do not forget to fill out some very important sections of your social media platform like ‘about’ and ‘information’. Besides, while filling out the information use words or phrases that are related to your business and describes it well. For instance, if you want to optimize your facebook account for local searches then you must mention your address and other related information in the correct way. 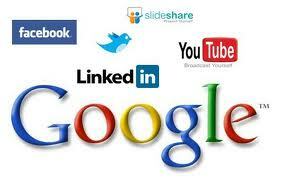 Try to link back your social media to your website and your website to your social media. One more thing in case of Facebook, people tend to overlook the ‘category ‘field, which is important for the faceboook mobile users. Hence, make sure you mention the correct category while putting in your basic information. Optimizing your social content is about using the keywords relevant to your business in the content that you post on social media outlets be it your facebook update, pin description, tweets, etc. Make sure you share the content from your website to give it an SEO boost up. One very important fact that twitter helps Google to index your content faster as in adds the URL to their database faster, this is why sharing content on twitter is particularly essential. Besides, try using your business name in your posts on social media networks as it helps Google to link the keywords you used to explain your business to your business name. Link building is one of the most important factors in SEO. Linking to other good sites and getting linked back from high quality sites increases your authority over the web, which in turn help you rank high on the search engine ranking pages. Social activities like retweets, likes, repin and so on all add to the weightage of your link. Every time people share your content you get have an inbound link to your website. Try creating a content that can be shared to have more SEO value out of it. 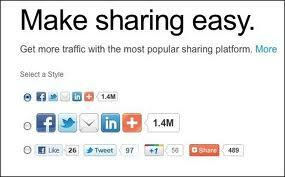 Besides, you can add social share button to your individual post on your website or blog to increase the shares. Well it takes time to improve SEO and changes on search engine ranking pages don’t happen overnight. Always keep your information up to date and be as descriptive as possible. Instead of just putting your entire effort on SEO tactics give your audience the best experience through the best content and your business will benefit from natural word of mouth.